Taking place during WWII, Their Finest follows Catrin Cole (Gemma Arterton), a Welsh writer who is hired to work on a propaganda film about the Battle of Dunkirk, to boost the morale of British audiences. Although initially brought in to write the female dialogue, Catrin becomes an invaluable part of the project, and even starts to find real life romance with her more cynical co-writer Tom Buckley (Sam Claflin). 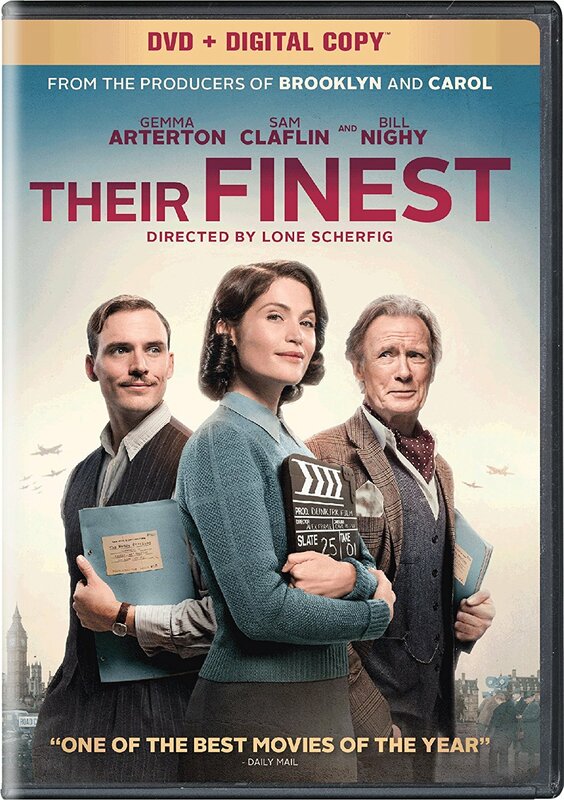 Bolstered by excellent performances, including a memorable supporting role for Bill Nighy, Their Finest is a piece of lovingly crafted escapism that celebrates the importance of film to offer a break from the real world for a couple of hours. This is one of those films that I grow more fond of the more I think about it, and if you haven’t seen it already, it’s worth taking the time to check it out now. You can read my full review right here. Their Finest is an Elevation Pictures release. It’s 117 minutes and rated 14A.